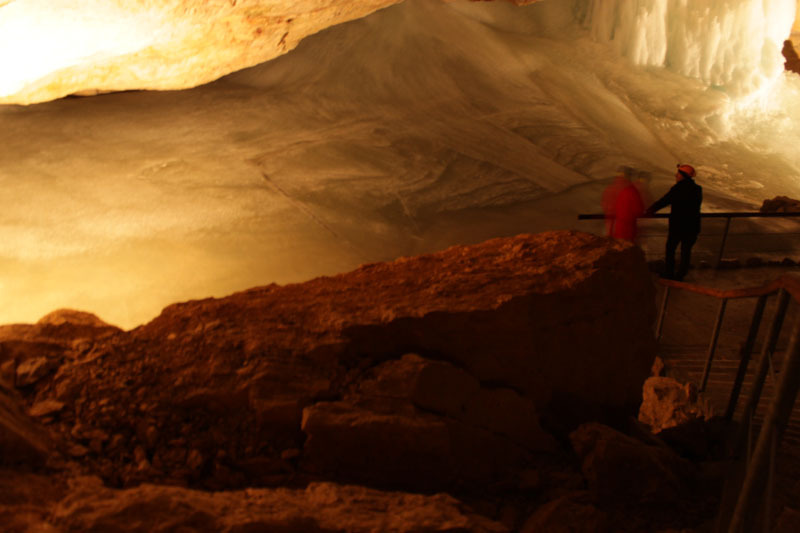 Between 27Apr – 01May2012, a five day Mars analogue field test will take place at the Mammoth cave and the Giant Ice cave at the Dachstein region in southern Upper Austria coordinated by the Austrian Space Forum. During this test, the most advanced version of the Aouda.X spacesuit simulator and selected geophysical and life-science related experiments will be conducted. The caves are settled within the UNESCO world heritage region of the Salzkammergut / Hallstatt in Austria (47°28′32.5″N 13°36′23.2″E), the next major city with airport is Salzburg. The geology of the Dachstein massif is dominated by the so-called Dachstein-Kalk (“Dachstein limestone”), dating from Triassic times. In common with other karstic areas, the Dachstein is permeated by a rich cave system, including some of the largest caves in Austria. The Dachstein is also famous for its fossils, including megalodonts. The test sites are located at roughly 1600 m in both the dry Mammoth cave and the Ice caves – both can be accessed via cable car and a 10 min walk on paved ways.